“Failures can be our greatest teachers” (Rothschild, 2003, p.202). 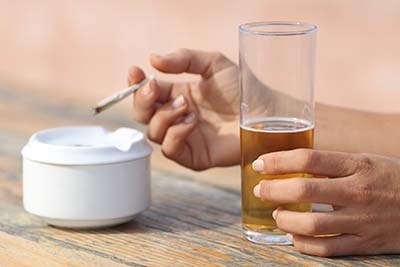 Addiction exists in an individual who demonstrates a pathological relationship with any mood altering experience that results in ongoing, recurring life-damaging negative consequences. We can also define addiction as where pleasure becomes pain! Many people engage with substances, activities and behaviours without major disruption to their lives. Moreover it is widely perceived that no definitive relationship exists between addictions and intelligence or willpower levels. Frequently individuals in addiction actually possess above average quotas of both. However negative outcomes potentially transpire when life traumas, social pressures and genetic predisposition encourage dependency upon alcohol, substances or specific behaviours as a coping mechanism. People can become addicted to almost anything resulting in a rewarding outcome. Recurrent failure to control the behaviour. Continuation of the behaviour despite significant harmful consequences. Are you taking larger amounts of a substance than you used to, or for longer than you meant to? Do you want to cut down or stop but find that you can’t manage to? Are you spending a lot of time getting, using, or recovering from using a substance? Do you experience intense cravings to use a substance or engage in an activity? Do you struggle to attend or perform previously manageable tasks at work, home or school because of substance use or a mood-altering behaviour? Do you continue to engage in an activity or use a substance even when it causes relationship problems? Do you miss social, occupational or recreational activities because of substance use or a mood-altering behaviour? Do you use substances again and again even when it puts you in danger? Do you continue to use a substance or engage in a mood-altering behaviour that is responsible for, or endangers a physical or mental health condition? Do you now require an increased quantity of the substance or activity to get the effect you want? Do you develop withdrawal symptoms that can be relieved by exposure to the substance or activity? Are you restless or irritable when attempting to stop or cut back on this activity? Are you often preoccupied by thoughts of this substance or activity? Do you engage with this substance or activity when you are feeling helpless, guilty, anxious, or low? Have you jepordised or lost a significant relationship, job, or educational or career opportunity because of this substance or activity? Behavioural activation incorporates motivational interviewing which accommodates usage of the Wheel of Change Model. This model suggests that individuals may move backwards and forwards between the stages of change many times before achieving lasting change. It is only appropriate for me to work with a person at their current stage, not where they or I think they should be. Change does not occur by taking an as the crow flies route and it is best viewed as a process and not an outcome. Getting to where you want to go may initially involve a harm reduction approach whilst for others total abstinence may be the best way forward. Eventually if you consistently maintain maintenance of alternative choices and rules for living your life that are in opposition to previous temptations, you can work with your emotions to understand your own behaviours. Beyond my core training and experience my capacity to work with clients in this area is currently being supplemented by undertaking the Counselling Theory and Intervention Skills programme run in conjunction with Merchants Quay Ireland (MQI) and UCD. I am a fully trained facilitator for SMART Recovery support groups which utilise a 4 point programme to help individuals to recover from all kinds of addictive behaviours. I am also actively involved with Waterford Community Based Drug Initiative (WCBDI) in a voluntary capacity.